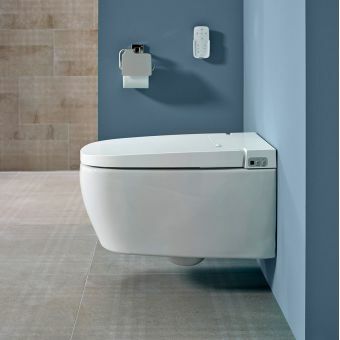 The Aquaclean Mera from Geberit offers a level of sophistication and comfort that has never been seen before in toilet technology. 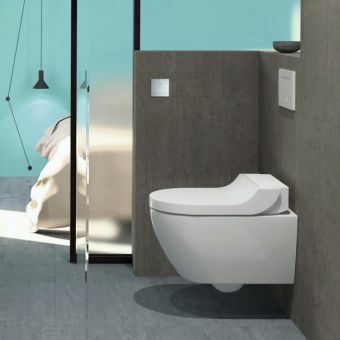 It pulls all the strands of its previous showering toilets together into this one masterpiece providing an all-in-one solution for anyone needing this type of toilet. 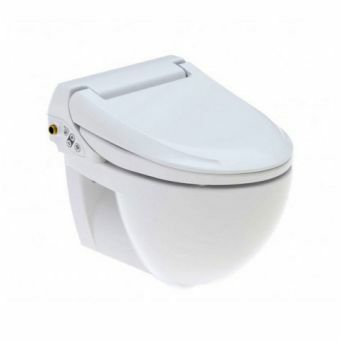 Its key features make for a long list but the top of the list is its warm water oscillating spray coupled with a heated seat and warm air drying after use make sure a visit to a cold uncomfortable toilet is a thing of the past for those in the know. 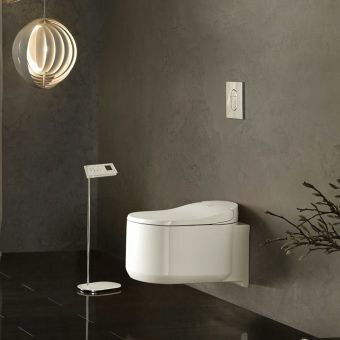 At night, a discreet light emanates from the bottom of the unit providing a warm welcoming glow to guide you to it without the need to put on the bathroom lighting. 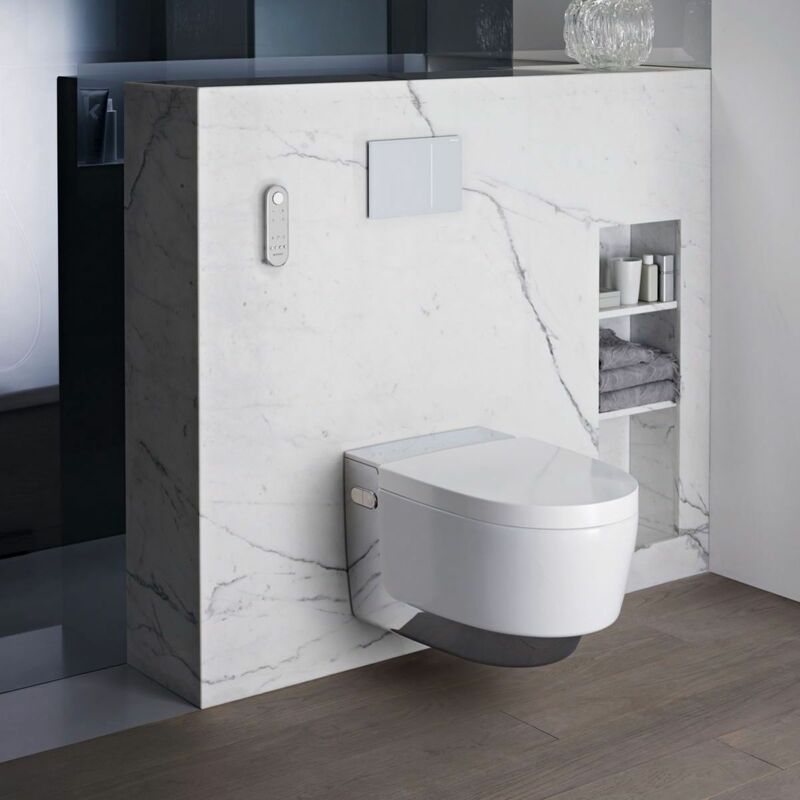 A further innovation for this remarkable WC is a remote control for all major functions and an automatic opening and closing lid, both activated on approach by sophisticated detectors. One of its most useful features is integrated odour extraction which runs on for two minutes after use to eliminate nasty odours with a filter that eliminates the need for further extraction. 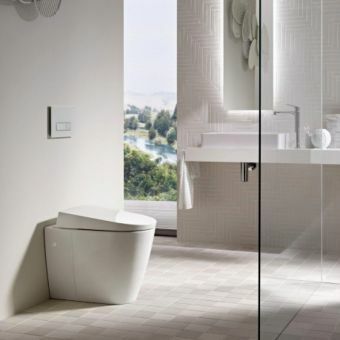 A frame and cistern will be needed to complete the final installation but Geberit's Duofix range offers many options along with a generous choice of flush plates. 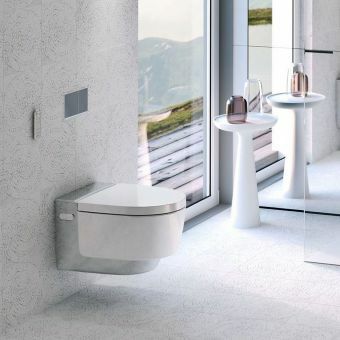 If you do not have a void to allow fitting of a hidden cistern then even this is covered by utilising the beautifully designed, glass-fronted Monolith range which is a complete, hang on the wall, slimline frame and cistern. 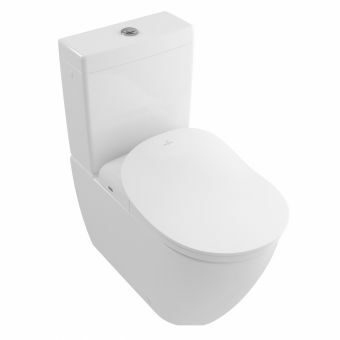 The understated beauty of the Mera belies its elegant sculpted lines and superior construction giving you a choice of the classic white or with a wraparound Chrome profile to add a captivating and enticing finish.